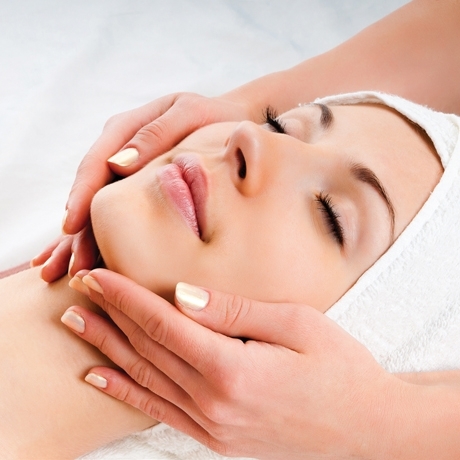 ESPA FACE – Treat yourself to a luxurious and relaxing ESPA personalised facial. To book an appointment at The Ocean Rooms Beauty Salon Southampton, call us or book online! Gentle cleansing and exfoliation help the skin absorb replenishing face treatment oils and masks to deeply moisturize and soothe the complexion. This Re-hydrating facial leaves skin smooth and feeling rejuvenated. Restore skin’s vitality and reveal a bright, smooth and radiantly youthful-looking complexion with our advanced new facial treatment. Suitable for all skin types and ages, this treatment combines our unique Optimal Skin Pro Cleanser, which gently exfoliates as it melts into the skin, followed by a brightening mask to remove dead skin cells. An age-defying and sublimely relaxing massage using rose quartz crystals follows, finishing with a Lifting and Smoothing Mask and our revolutionary new Skin Radiance Intensive Serum – to powerfully brighten, firm and even skin tone, leaving your complexion smooth, supple and looking radiantly healthy. For the ultimate flawless finishing touch, Naturally Radiant Tinted Moisturizer is applied as an alternative, or in addition to a tailored facial moisturizer. An advanced facial using Super ActiveTM products to improve skin tonicity and firmness and enhance cellular regeneration. This facial uses Tri-Active ingredients combined with specialised facial massage lifting techniques to help combat the signs of ageing, stimulate collagen production and deliver intensive results; the benefits of which can be seen immediately. A powerful and highly effective facial to boost cell regeneration and give an instantly smooth, radiant complexion. A deep cleanse is followed by an intense Enzyme Peel containing botanical extracts and Pumpkin Enzymes to deeply exfoliate and remove dead skin cells. After a soothing massage using Rose Quartz Crystals to help cool and calm, a Lifting and Smoothing Mask is applied, containing concentrated Seaweed Extracts, Argan Oil and Menthol, to give your skin a more plumped and firmer appearance.